Essence Eyeliners + SYF nail polish - Cherry Colors - Cosmetics Heaven! Today I wanted to buy an eyeliner from Essence in Pretty cool, because I have seen pictures of it, and it looked really nice! The eyeliners are pretty cool! I love the green one, it's really nice, opaque and it applies nicely. 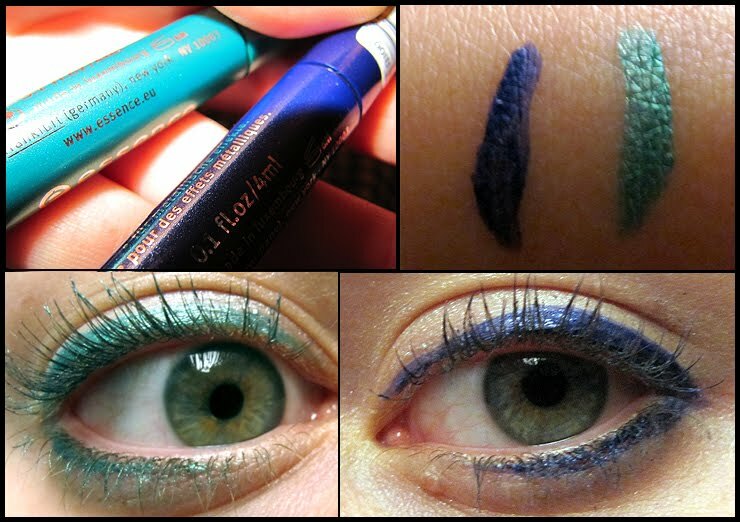 The purple one is a more sheer eye liner, but it is buildable, so it was a nice purchase. And to comment this picture.. as if I don't have already enough reed nail polishes.. :)!